Isotonic exercise is one of the most reliable forms of fitness practices among athletes and bodybuilders. It is a common method of exercise in gym and fitness clubs. Well, you might be wondering, if it is so common then why haven’t you heard of it? Chances are you might even be performing these exercises but may not be aware of the technical term. This is a type of power workout that is an integral part of a good exercise plan. In addition to routine training, cardiovascular exercises and other more common forms of workout, Isotonic exercises have innumerable benefits for our body. These days, losing weight is not the only concern. People want to get in shape and have an attractive body. It is true that just one kind of exercise method will not let you achieve that. For example, a set of cardiovascular exercises might help you lose weight, but it may not be too successful in helping you achieve a well-toned body. In order to have the body of your dreams, it is important to have a holistic workout plan that will not only help you lose weight but also tone your body, help you maintain it and build muscular strength. By incorporating Isotonic exercises into your daily routine, one can achieve all of this and more. 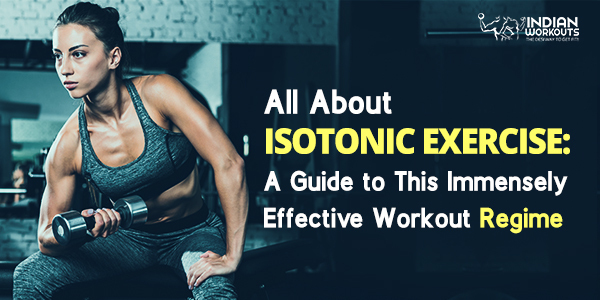 This article will tell you everything you need to know about Isotonic exercises, it’s benefits and some excellent examples of the isotonic workout. An Isotonic exercise is a form of weight training. It is performed using free weights to condition a muscle group and build them stronger. Isotonic exercises focus on overall fitness and are quite common among those who are looking to lose weight, tone their body, increase muscle power and build larger muscles. Dumbbell curls, bench press are some of the classic examples of isotonic exercises. It is your everyday workouts performed at the gym using weights at variable speeds. The method basically focuses on the isotonic contraction of muscles during the workout. Using a static weight, tension is created in muscle throughout the motion. This impacts the muscle and eventually, the muscle cells enlarge and the amount of weight it can pull also increases. In simple words, it is a form of muscular exercise performed to increase muscle strength and endurance. The term Isotonic is derived from Greek words: ‘Iso’ meaning equal and ‘Tonos’ meaning maintaining equal tone. Isotonic exercises are of two types, based on contraction of the muscles: concentric and eccentric. The concentric contraction occurs when the muscle shortens, while eccentric contraction occurs when the muscle lengthens. Lifting weights is a typical example of concentric contraction and putting them down is an example of eccentric contraction. In simple words, concentric contraction takes place when the muscle is working actively and manipulating the resistance. As for eccentric it is usually when the muscle is working passively. Researchers and scientists suggest a combination of concentric and eccentric movement found in Isotonic exercise, when performed regularly is quite beneficial. Weight lifting, elliptical training, climbing stairs, push-ups, and squats are examples of a perfect combination of concentric and eccentric movements in an isotonic workout. Enhances bone health by improving bone density. Prevents chronic issues like Osteoporosis, arthritis, and more. Improves muscle strength by making it larger and stronger. Improves flexibility in joints and reduces the chances of sprain, ligament tear, muscle tear, cartilage damage, and fracture. Reduces the risk of fall and improves balance. It can be used to tone all muscle groups. Huge range of exercises helps maintain variety and excitement. Portable equipment like dumbbells, kettlebell, medicine ball makes it a workout that can be performed anywhere and anytime. As mentioned above, people often get confused between Isometric and isotonic exercise simply because the words sound similar. By now, you know isotonic contraction involves manipulating resistance leading to change in the length of the muscle. Meanwhile, isometric exercise involves exerting resistance, but the muscle remains unmoved. The word isometric comes from the Greek words ‘iso’ meaning equal and ‘metron’ meaning measure. It means maintaining the same measure or length. It is said that most of the gym workouts consist of isotonic movements and the yoga workout is more about isometric movements. Lifting and putting down the weight is a good example of isotonic movement. As for isometric, planks or pulling your stomach in and holding that position are good examples of isometric movement. Isometric exercise is usually performed to build strength. Also, it improves cholesterol levels and digestion. Many physiotherapists use it during the injury recovery and rehabilitation. If you are a beginner, getting started with isotonic exercise must include a doctor’s consultation. At advanced levels, isotonic weight training can get challenging. Hence, a doctor will help you determine your physical capacities. Also, the consultation will help in determining if there are any medical conditions that need precautionary measures. If you are suffering from a fracture, isotonic stretching will help you recover faster. 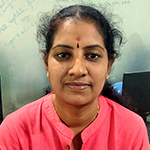 However, it needs to be performed under the supervision of a medical trainer. For any beginner, it is advised to perform these movements with the help of a professional. These professionals will teach you the correct technique that is important for effective results and preventing injury. Never miss a warm up. When beginning this type of workout, it is important to spend at least 15 minutes doing dynamic stretches. This enhances flexibility in the body and reduces the risk of fall or injury. Lastly, get adequate rests between the workouts in order to help the muscle recover and get good results. Lastly, remember isotonic workout is not enough. It is important to combine it with cardio activity for best results. Here is a list of isotonic exercises that can be incorporated in your routine workout. Squats is a great exercise for overall body and engages major muscle groups. It improves balance, burns body fat, stimulates weight loss and tones lower body. Technique: Start in standing position with your feet shoulder-width apart. You can use dumbbells in both your hands to create more impact. Lower down your body as low as you can by bending the knees and pushing all the weight in your heels. Make sure the back is straight and come back to standing position. This is one of the most effective isotonic weight training It enables bicep muscle strengthening and toning. Technique: All you need are dumbbells for this workout. 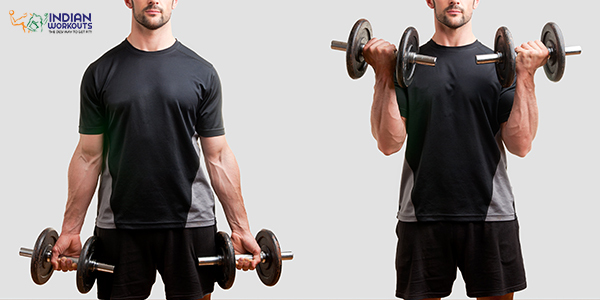 Hold the dumbbells in each of your hands and stand straight, feet shoulder distance apart. Slowly, bend your elbows and pull the dumbbells close to your chest. Don’t forget to breathe in and out as you perform the moves. This is a classic example of combined eccentric and concentric contraction. 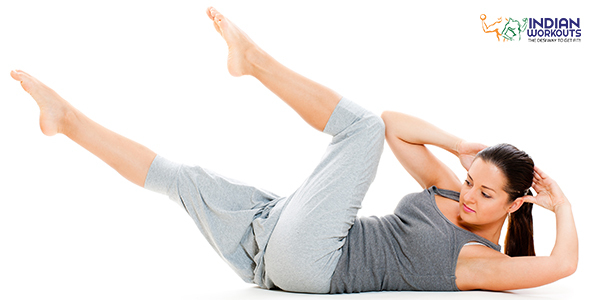 This form of Isotonic exercise improves balance, tones lower body and strengthens core muscles. Technique: Start in standing position. Hold dumbbells by your side. Then put your one step forward and slowly lower your hips with your knees bent at 90-degree angle. Make go as low as you can. Just before your knees touch the ground, come back to the starting position and make the next move with opposite leg. 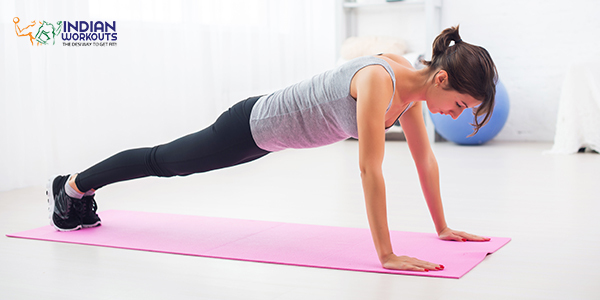 Classic pushups are a great way to tone your body. It engages almost all the muscles of the body and improves muscle endurance. Technique: It is important to implement the right technique for this exercise. Stand with lying on your stomach on the ground. Place your hands firmly on the ground. Begin by lifting your toes and then your elbows. Make sure the elbows are in 90-degree angle and core tightened. Move forward until the chest touches the ground. Hold the position for 5 seconds and return to the starting position. 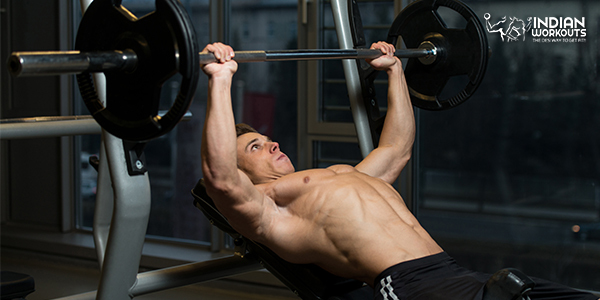 Bench press is a full body, compound exercise that works biceps, chest, and shoulders. Technique: Lie down on the bench with your head under the bar. Grab the bar firmly and begin unracking the bar by straightening your arms slowly. Bring the bar to your mid-chest and take the bar back up until the arms are completely straight. Hold the bar in that position for a few seconds and slowly lower the bar again. Don’t forget to keep breathing during the process. Also, make sure to choose the right weights. 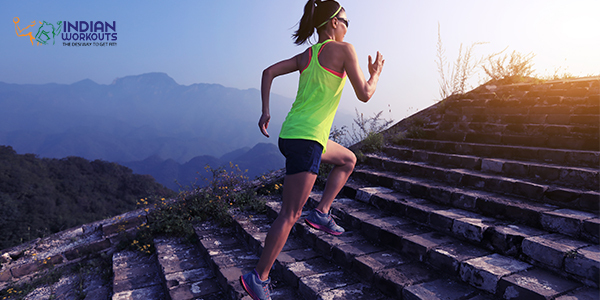 Climbing the stairs creates an isotonic contraction in your legs. It is a great fat burning and muscle strengthening exercise. Besides, it’s an effective exercise for heart health, maintaining blood pressure and improving bone density and bone health. Apart from above-mentioned isotonic exercises, all forms of weightlifting practiced by free-weights and weight machines are ideal ways to perform an isotonic workout. This equipment can be used to create variations during isotonic weight training. If you do not have access to weights, you can perform resistance exercise using the weight of your own body. Planks, crunches, lunges, squats, pushups, pull-ups are some great ways to create resistance using your own body and perform isotonic exercises. This form of workout does not only burn fat but keeps the body fit. It is great for long-term targets like maintaining a healthy weight and good fitness levels. Additional benefits include sound mental health and a boost in confidence.